Copyright 1997-2016, Theo de Raadt. 5.9 Songs: "Doctor W^X", "Systemagic (Anniversary Edition)"
Go to the pub/OpenBSD/5.9/ directory on one of the mirror sites. Have a look at the 5.9 errata page for a list of bugs and workarounds. See a detailed log of changes between the 5.8 and 5.9 releases. This is a partial list of new features and systems included in OpenBSD 5.9. For a comprehensive list, see the changelog leading to 5.9. W^X policy enforced in the i386 kernel address space. New asmc(4) driver for the Apple System Management Controller. New pchtemp(4) driver for the thermal sensor found on Intel X99, C610 series, 9 series and 100 series PCH. New uonerng(4) driver for the Moonbase Otago OneRNG. New dwiic(4) driver for the Synopsys DesignWare I2C controller. New ikbd(4), ims(4), and imt(4) drivers for HID-over-i2c keyboards, mice and multitouch touchpads. New efifb(4) driver for EFI frame buffer. New viocon(4) driver for the virtio(4) console interface provided by KVM, QEMU, and others. New xen(4) driver implementing Xen domU initialization and PVHVM device attachment. New xspd(4) driver for the XenSource Platform Device providing guests with additional capabilities. New xnf(4) driver for Xen paravirtualized networking interface. amd64 can now boot from 32 bit and 64 bit EFI. Initial support for hardware reduced ACPI added to acpi(4). Support for ACPI configured SD host controllers has been added to sdhc(4). The puc(4) driver now supports Moxa CP-168U, Perle Speed8 LE and QEMU PCI serial devices. Intel 100 Series PCH Ethernet MAC with i219 PHY support has been added to the em(4) driver. RTL8168H/RTL8111H support has been added to re(4). inteldrm(4) has been updated to Linux 3.14.52, adding initial support for Bay Trail and Broadwell graphics. Support for audio in Thinkpad docks has been added to the azalia(4) driver. Support for Synaptic touchpads without W mode has been added to the pms(4) driver. Support for tap-and-drag detection with ALPS touchpads in the pms(4) driver has been improved. The sdmmc(4) driver now supports sector mode for eMMC devices, such as those found on some BeagleBone Black boards. The cnmac(4) driver now supports checksum offloading. The ipmi(4) driver now supports OpenIPMI compatible character device. Support for ST-506 disks has been removed. The tame(2) system call was renamed to pledge(2). Behavior and semantics were extended and refined. 453 out of 707 base system binaries were adapted to use pledge. 14 ports now use pledge(2): some decompression tools, mutt, some pdf tools, chromium/iridium, and the i3 window manager. Various bugs exposed by pledge(2) were corrected. For example in bgpd(8), iked(8), ldapd(8), ntpd(8), and syslogd(8). support for HOSTALIASES in the resolver. support for lookup yp in resolv.conf(5). setuid-preserving code in tools from binutils. handling of ed-style diffs via proc/exec in patch(1). the introduction of the SOCK_DNS socket(2) flag that makes an SS_DNS tagged socket conceptually different from a plain socket. pledge(2) is also used to constrain programs that handle untrusted data to a very limited subset of POSIX. For example, strings(1) or objdump(1) from binutils or the RSA-privsep process in smtpd(8). carp(4), trunk(4), vlan(4) and other pseudo-drivers, with the exception of bridge(4). Ethernet decapsulation, ARP processing and MPLS forwarding path. The Rx and Tx rings of the ix(4), myx(4), em(4), bge(4), bnx(4), vmx(4), gem(4), re(4) and cas(4) drivers can now be processed in parallel of the rest of the kernel. The Rx ring of the cnmac(4) driver can now be processed in parallel of the rest of the kernel. The ieee80211(9) subsystem now supports HT data rates up to 65 Mbit/s (802.11n MCS 0-7). The input path of ieee80211(9) now supports receiving A-MPDU and A-MSDU aggregated frames. The iwm(4) and iwn(4) drivers make use of the above features. 802.11n mode is used by default if supported by the OpenBSD wireless driver and the access point. Operation in 802.11a, 802.11b, and 802.11g modes can be forced with the new ifconfig(8) mode subcommand. New etherip(4) pseudo-device for tunneling Ethernet frames across IP networks using RFC 3378 EtherIP encapsulation. New pair(4) pseudo-device for creating paired virtual Ethernet interfaces. New tap(4) pseudo-device, split up from tun(4), providing a layer 3 interface with userland tools. Support for obsolete IPv6 socket options has been removed. The iwn(4) driver now passes IEEE 802.11 control frames in monitor mode, allowing full capture of traffic on a particular wireless channel. pflow(4) now supports IPv6 for transport. Inappropriate user choices from a list of options are more reliably rejected. Installing to a disk partitioned with a GPT is now supported (amd64 only). When initializing a GPT, the required EFI System partition is automatically created. When installing to a GPT disk, installboot(8) now formats the EFI System partition, creates the appropriate directory structure and copies the required UEFI boot files into place. New eigrpd(8) routing daemon for the Enhanced Interior Gateway Routing Protocol. dhclient(8) now supports multiple domain names provided via DHCP option 15 (Domain Name). dhclient(8) now supports search domains provided via DHCP option 119 (Domain Search). dhclient(8) no longer continually checks for a change to the routing domain of the interface it controls. It now relies on the appropriate routing socket messages. dhclient(8) now issues DHCP DECLINE responses to lease offers found to be inadequate, and restarts the DISCOVER/RENEW process rather than waiting indefinitely for a better lease to appear. dhclient(8) no longer exits if a desired route cannot be added. It now just reports the fact. dhclient(8) now takes a much more careful approach to received packets to ensure only received data is used to process the packet. Packets with incorrect length information or lacking appropriate header information are now dropped. dhclient(8) again disables pending timeouts if the interface link is lost, preventing endless retries at obtaining a lease. dhcpd(8) again properly utilizes default-lease-time, max-lease-time and bootp-lease-time options. tcpdump(8) now displays more information about IEEE 802.11 frames when run with the -y IEEE802_11_RADIO and -v options. Several interoperability issues in iked(8) have been fixed, including EAP auth with OS X El Capitan. Chacha20-Poly1305 authenticated encryption mode has been implemented in the IPsec stack for the ESP protocol. Support for looking up hosts via YP has been removed from libc. The 'yp' lookup method in resolv.conf is no longer available. Support for the HOSTALIASES environment variable has been removed from libc. doas(1) is a little friendlier to use. Forked less(1) from upstream, then proceeded to clean it up substantially. pdisk(8) was largely rewritten and pledged. Renaming files in the root directory of a MSDOS filesystem was fixed. Many obsolete disktab(5) attributes and entries were removed. softraid(4) volumes now correctly look for the disklabel in the first OpenBSD disk partition, not the last. softraid(4) volumes can now be partitioned with a GPT. fdisk(8) now creates a default GPT as well as the protective MBR when the -g flag is used. fdisk(8) now has a -b flag that specifies the size of the EFI System partition to create. fdisk(8) now has a -v flag that causes a verbose display of both MBR and GPT information. fdisk(8) now provides full interactive GPT editing. Disks with sector sizes other than 512 bytes can now be partitioned with a GPT. The GPT kernel option was removed and GPT support is part of all GENERIC and GENERIC derived kernels. Many improvements were made to the GPT kernel support to ensure safe and reliable operation of GPT and MBR processing. disklabel(8) no longer supports boot code installation, with the -B and -b flags being removed. The associated fields in the disklabel were also removed. These functions are now all performed by installboot(8). PowerPC converted to secure-PLT ABI variant. Perform lazy binding updates in ld.so(1) using kbind(2) to improve security and reduce overhead in threaded processes. Over 100 internal or obsolete interfaces have been deleted or are no longer exported by libc, reducing symbol conflicts and process size. libc now uses local references for most of its own functions to avoid symbol overriding, improve standards compliance, increase speed, and reduce dynamic linking overhead. Handle intra-thread kills via new thrkill(2) system call to tighten pledge(2) restrictions and improve pthread_kill(3) and pthread_cancel(3) compliance. Added getpwnam_shadow(3) and getpwuid_shadow(3) to permit tighter pledge(2) restrictions. Added support to ktrace(1) the arguments to execve(2) and pledge(2). Removed support for tracing context switch points. kevent structures are now dumped. Disabled support for loading locales other than UTF-8. UTF-8 character locale data has been updated to Unicode 7.0.0. Added UTF-8 support to several utilities, including calendar(1), colrm(1), cut(1), fmt(1), ls(1), ps(1), rs(1), ul(1), uniq(1) and wc(1). Partial support for inserting and deleting UTF-8 characters in ksh(1) emacs command line editing mode. Native language support (NLS) has been removed from libc. ddb(4) now automatically shows a stack trace upon panic. Both smtpd(8) and smtpctl(8) have been pledged. The offline enqueue mode of smtpctl(8) has been redesigned to remove the need for a publicly writable directory which was a vector of multiple attacks in the Qualys Security audit. Experimental support for filters API is now available with several filters available in ports. Add Message-Id header if necessary. Removed the kick mechanism which was misbehaving. Increased the length of acceptable headers lines. Assume messages are 8-bit bytes by default. Qualys Security identified vulnerabilities in the ssh(1) client experimental support for resuming SSH-connections (roaming). In the default configuration, this could potentially leak client keys to a hostile server. The authentication of the server host key prevents exploitation by a man-in-the-middle, so this information leak is restricted to connections to malicious or compromised servers. This feature has been disabled in the ssh(1) client, and it has been removed from the source tree. The matching server code has never been shipped. sshd(8): OpenSSH 7.0 contained a logic error in PermitRootLogin=prohibit-password/without-password that could, depending on compile-time configuration, permit password authentication to root while preventing other forms of authentication. Fix an out of-bound read access in the packet handling code. Further use of explicit_bzero(3) has been added in various buffer handling code paths to guard against compilers aggressively doing dead-store removal. ssh(1), sshd(8): remove unfinished and unused roaming code. Several ciphers: blowfish-cbc, cast128-cbc, all arcfour variants and the rijndael-cbc aliases for AES. MD5-based and truncated HMAC algorithms. all: add support for RSA signatures using SHA-256/512 hash algorithms based on draft-rsa-dsa-sha2-256-03.txt and draft-ssh-ext-info-04.txt. ssh(1): add an AddKeysToAgent client option which can be set to yes, no, ask, or confirm, and defaults to no. When enabled, a private key that is used during authentication will be added to ssh-agent(1) if it is running (with confirmation enabled if set to confirm). sshd(8): add a new authorized_keys option restrict that includes all current and future key restrictions (no-*-forwarding, etc.). Also add permissive versions of the existing restrictions, e.g. no-pty -> pty. This simplifies the task of setting up restricted keys and ensures they are maximally-restricted, regardless of any permissions we might implement in the future. ssh-keygen(1): allow ssh-keygen(1) to change the key comment for all supported formats. ssh-keygen(1): allow fingerprinting from standard input, e.g. "ssh-keygen -lf -". ssh-keygen(1): support multiple certificates (one per line) and reading from standard input (using "-f -") for ssh-keygen -L.
ssh-keyscan(1): add ssh-keyscan -c ... flag to allow fetching certificates instead of plain keys. ssh(1): better handle anchored FQDNs (e.g. cvs.openbsd.org.) in hostname canonicalisation - treat them as already canonical and trailing '.' before matching ssh_config(5). ssh(1), sshd(8): add compatibility workarounds for FuTTY. ssh(1), sshd(8): refine compatibility workarounds for WinSCP. Fix a number of memory faults (double-free, free of uninitialised memory, etc.) in ssh(1) and ssh-keygen(1). Correctly interpret the first_kex_follows option during the initial key exchange. ssh(1): fix errors when attempting to connect to scoped IPv6 addresses with hostname canonicalisation enabled. sshd(8): fix PubkeyAcceptedKeyTypes +... inside a Match block. ssh(1): include PubkeyAcceptedKeyTypes in ssh -G config dump. sshd(8): avoid changing TunnelForwarding device flags if they are already what is needed; makes it possible to use tun(4)/ tap(4) networking as non-root user if device permissions and interface flags are pre-established. ssh(1): fix multiplexing master failure to notice client exit. ssh-agent(1), sshd(8): fix several bugs in (unused) KRL signature support. ssh-keygen(1): don't leave empty temporary files when performing known_hosts file edits when known_hosts doesn't exist. This release corrects the handling of ClientHello messages that do not include TLS extensions, resulting in such handshakes being aborted. When loading a DSA key from a raw (without DH parameters) ASN.1 serialization, perform some consistency checks on its `p' and `q' values, and return an error if the checks failed. Fixed a bug in ECDH_compute_key that can lead to silent truncation of the result key without error. A coding error could cause software to use much shorter keys than intended. Removed support for DTLS_BAD_VER. Pre-DTLSv1 implementations are no longer supported. The engine command and parameters are removed from openssl(1). Previous releases removed dynamic and built-in engine support already. SHA-0 is removed, which was withdrawn shortly after publication twenty years ago. Added Certplus CA root certificate to the default cert.pem file. Fixed a leak in SSL_new(3) in the error path. Fixed a memory leak and out-of-bounds access in OBJ_obj2txt(3). Fixed an up-to 7 byte overflow in RC4 when len is not a multiple of sizeof(RC4_CHUNK). Added EVP_aead_chacha20_poly1305_ietf(3) which matches the AEAD construction introduced in RFC 7539, which is different than that already used in TLS with EVP_aead_chacha20_poly1305(3). More man pages converted from pod to mdoc(7) format. Added COMODO RSA Certification Authority and QuoVadis root certificates to cert.pem. Removed "C=US, O=VeriSign, Inc., OU=Class 3 Public Primary Certification Authority" (serial 3c:91:31:cb:1f:f6:d0:1b:0e:9a:b8:d0:44:bf:12:be) root certificate from cert.pem. Fixed incorrect TLS certificate loading by nc(1). The openssl(1) s_time command now performs a proper shutdown which allows a full TLS connection to be benchmarked more accurately. A new -no_shutdown flag makes s_time adopt the previous behavior so that comparisons can still be made with OpenSSL's version. Removed support for the SSLEAY_CONF backwards compatibility environment variable in openssl(1). CVE-2015-3194—NULL pointer dereference in client side certificate validation. CVE-2015-3195—memory leak in PKCS7, not reachable from TLS/SSL. CVE-2015-3193—carry propagating bug in the x86_64 Montgomery squaring procedure. CVE-2015-3196—double free race condition of the identify hint data. Added install target for cmake builds. Updated pkgconfig files to correctly report the release version number, not the individual library ABI version numbers. SSLv3 is now permanently removed from the tree. The tls_read(3) and tls_write(3) functions now work better with external event libraries. Client-side verification is now supported, with the client supplying the certificate to the server. Also, when using tls_connect_fds(3), tls_connect_socket(3) or tls_accept_fds(3), libtls no longer implicitly closes the passed in sockets. The caller is responsible for closing them in this case. New interface OPENSSL_cpu_caps is provided that does not allow software to inadvertently modify cpu capability flags. OPENSSL_ia32cap and OPENSSL_ia32cap_loc are removed. The out_len argument of AEAD changed from ssize_t to size_t. Deduplicated DTLS code, sharing bugfixes and improvements with TLS. Converted nc(1) to use libtls for client and server operations; it is included in the libressl-portable distribution as an example of how to use the libtls library. This is intended to be a simpler and more robust replacement for openssl s_client and openssl s_server for day-to-day operations. ASN.1 cleanups and RFC5280 compliance fixes. Time representations switched from unsigned long to time_t. LibreSSL now checks if the host OS supports 64-bit time_t. Support always extracting the peer cipher and version with libtls. Added ability to check certificate validity times with libtls, tls_peer_cert_notbefore(3) and tls_peer_cert_notafter(3). Changed tls_connect_servername(3) to use the first address that resolves with getaddrinfo(3). Remove broken conditional EVP_CHECK_DES_KEY code (non-functional since initial commit in 2004). Reject too small bits value in BN_generate_prime(3), so that it does not risk becoming negative in probable_prime_dh_safe(). Changed format of LIBRESSL_VERSION_NUMBER to match that of OPENSSL_VERSION_NUMBER. Avoid a potential undefined C99+ behavior due to shift overflow in AES_decrypt. If your machine can boot from USB, you can write install59.fs or miniroot59.fs to a USB stick and boot from it. If this doesn't work, or if you don't have a CDROM drive, you can write CD3:5.9/sparc64/floppy59.fs or CD3:5.9/sparc64/floppyB59.fs (depending on your machine) to a floppy and boot it with boot floppy. Refer to INSTALL.sparc64 for details. You can also write CD3:5.9/sparc64/miniroot59.fs to the swap partition on the disk and boot with boot disk:b. Write FTP:5.9/alpha/floppy59.fs or FTP:5.9/alpha/floppyB59.fs (depending on your machine) to a diskette and enter boot dva0. Refer to INSTALL.alpha for more details. Write miniroot59.fs to the start of the CF or disk, and boot normally. Write miniroot59.fs to a USB stick and boot bsd.rd from it or boot bsd.rd via tftp. Refer to the instructions in INSTALL.loongson for more details. Copy `boot' and `bsd.rd' to a Mach or UniOS partition, and boot the bootloader from the PROM, and then bsd.rd from the bootloader. Refer to the instructions in INSTALL.luna88k for more details. To install, burn cd59.iso on a CD-R, put it in the CD drive of your machine and select Install System Software from the System Maintenance menu. Indigo/Indy/Indigo2 (R4000) systems will not boot automatically from CD-ROM, and need a proper invocation from the PROM prompt. Refer to the instructions in INSTALL.sgi for more details. Using the Linux built-in graphical ipkg installer, install the openbsd59_arm.ipk package. Reboot, then run it. Read INSTALL.zaurus for a few important details. 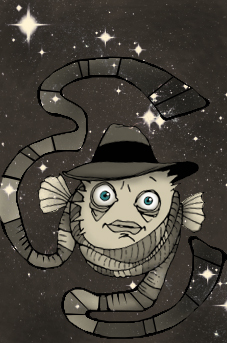 If you already have an OpenBSD 5.8 system, and do not want to reinstall, upgrade instructions and advice can be found in the Upgrade Guide. Note that most ports are available as packages on our mirrors. Updated ports for the 5.9 release will be made available if problems arise.